As a Virginia Mason corporate partner, OpenSquare, a provider of innovative products and services for the workplace, made its first gift a decade ago after executives attended the Dreambuilders' Ball. "We saw that Virginia Mason was working hard toward patient care excellence," says President and CEO, Jeff Rospond. The company now donates annually to that event and has additionally supported the Boeing Classic Golf Tournament and work on the Floyd & Delores Jones Pavilion. A shared vision of creating productive, efficient and user-centered environments brought the two organizations together. "Just as Virginia Mason treats patient care with a holistic perspective, OpenSquare designs and creates workplaces that address employee well-being at physical, cognitive, and emotional levels," explains Jeff. OpenSquare also counts Virginia Mason among its clients. "We've been very fortunate to be included on some of the improvement events as a working partner, changing the way patient care is delivered. 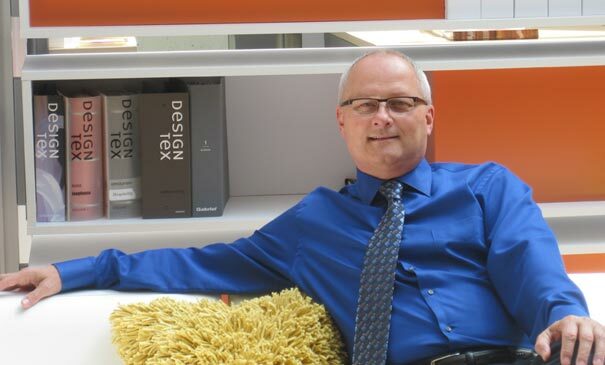 We bring research that Steelcase, Inc. has developed and give suggestions on how to improve exam rooms, patient rooms, and clinician spaces to better support everyone's needs," he says. "Just as Virginia Mason has created the Virginia Mason Production System modeled after Toyota's work on reducing waste, OpenSquare embraces Lean Methodologies to run our business. We feel it is important for us to share our learnings and work with others to give back." OpenSquare was created in 2012 through a merger of two office furniture dealers. Today, the Georgetown-headquartered company has about 230 full-time employees, including a dedicated health care specialist. The company is committed to supporting health care and research throughout the Seattle area and employees contribute to diverse causes, such as Junior Achievement, St. Vincent DePaul, Food Lifeline, Susan G. Komen, Adopt a Street and many others. "We understand the significance philanthropic giving carries. The leadership and employees of OpenSquare promote a culture that believes in giving back to our community," adds Jeff.